SINGAPORE (April 5): Oil prices climbed on Wednesday on signs of gradual tightening in a market bloated by years of overproduction that has left storage tanks around the world brimming with unsold fuel. Prices for front-month Brent crude futures, the international benchmark for oil, were at US$54.28 per barrel at 0149 GMT, up 11 US cents from their last close. In the United States, West Texas Intermediate (WTI) crude futures were up 16 US cents at US$51.19 a barrel. Traders said that slowly tightening market conditions were driving price rises, with the Organization of the Petroleum Exporting Countries (OPEC) leading an effort to cut output. With most of OPEC's crude exported on tankers, tracking ship movements can be a good gauge of market conditions. Shipped oil supplies have reduced by as much as 17% since the beginning of the year, according to oil analysis firm Vortexa. "We have seen a significant reduction in global oil supply since January, with oil on water going from 978 million barrels on Jan 1 to 812 million barrels on April 3," said Vortex chief executive Fabio Kuhn. "These changes are a signal that the rebalancing is happening faster than many in the market believe." Oil trading data in Thomson Reuters Eikon shows that OPEC shipments to the rest of the world fell to 813.7 million barrels by the end of March from 796.6 million barrels in January. But the tighter markets will only gradually lead to a reduction in bloated inventories as production in some countries, especially the United States, is rising. 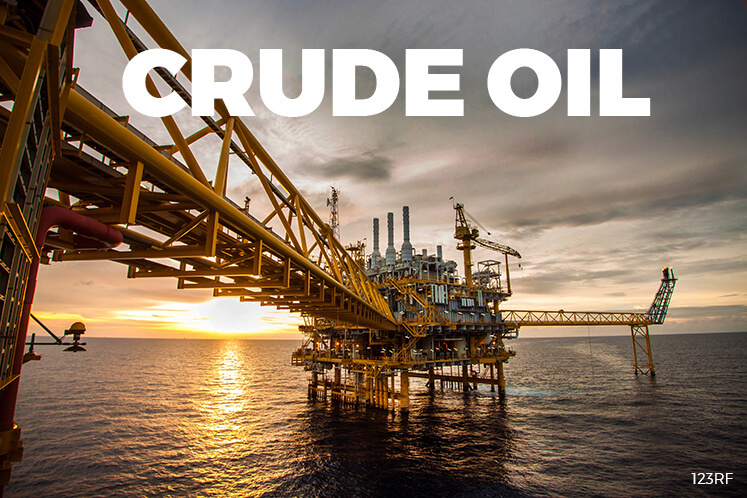 US crude stocks fell by 1.8 million barrels last week to 533.7 million, still a near all-time record, according to data released late Tuesday from the American Petroleum Institute. The US Energy Information Administration will issue its inventory figures on Wednesday. At the heart of the bloated US market is rising production, especially from shale drillers. The US rig count drilling for new oil rose for an 11th straight week last week to 662, making the first quarter the strongest for rig additions since mid-2011, according to energy services firm Baker Hughes said. Following a slump in 2015 and 2016, US oil production has risen 8.5% since mid-2016 to 9.15 million barrels per day (bpd), the same level output stood at in 2014 when the market downturn began.